Capt. Aaron Anderson, TF Power Restoration, is the operations officer leading the effort, along with key partners: FEMA, USACE Recovery Field Office’s temporary emergency power mission, and Puerto Rico Electric Power Authority. To date, Anderson’s team has set-up microgrids in five locations, starting with Culebra Island. The next four were placed in the Southeast, which was ground zero, sustaining tremendous damage when Hurricane Maria made landfall. Those microgrids are operating in Patillas, Maunabo, Naguabo and Yabucoa. “We are now looking more into the central portions of the island, and the potential for some of those mountain villages,” said Anderson. The team gets after those areas that aren’t going to see power shortly by looking to serve different points, which shows the versatility of microgrids. “Once we complete our assessments to make sure that the grid is good enough to accept power, and what types of facilities are on that system, we then go out and install these semi-trailer-sized generators,” said Anderson. “This initiative helps us do multiple things: get power quickly and more efficiently to a lot of homes, businesses, and critical facilities, but it also allows us to look at those facilities that are down range that already have smaller generators on them. This critical mission may not have taken root, if not for an administrative oversight. Anderson, a civil works project manager with the Portland District, arrived here a week after Thanksgiving Day, on Nov. 28, 2017. He was originally slated to be a battle captain for South Atlantic Division (Forward). “Someone had arrived and taken that position three hours before me. So I was technically excess,” said Anderson. “They brought me here and Task Force Commander Col. John P. Lloyd was ecstatic to have another captain on his staff. So he made me an operations officer. It didn’t take long before the team realized that as the power grid restoration was ramping up to bring the main power back to the people, there were some gaps. “We were putting in smaller generators at critical facilities, but we still knew there were areas of the island that weren’t going to see power restoration for some time,” Anderson said. A 2008 West Point graduate, Anderson has two master’s degrees: Engineering Management, Missouri University of Science and Technology, and Civil Engineering, University of Michigan. He hails from Muskegon, Michigan, and he and wife Kate have a two-year old daughter, Elizabeth. Anderson’s academic, project management and overseas field operations experience and versatility, including a tour in Afghanistan as a forward operating base mayor, have prepared him well for this critical mission. It’s hard to determine the exact amount of people who have their power restored through microgrids, said Anderson. Microgrids take time to develop because PREPA does a lot of switching, and they have to find the faults in the system. Now that the team has more systems on the ground, they are getting more recommendations for future systems. “At first, it was an unknown capability; people didn’t realize we could bring it to Puerto Rico; and so once we began putting in systems a lot more mayors heard about it,” said Anderson. Anderson said the team is very selective because they must make sure they have the right systems in place to meet the needs. They draw upon the local knowledge of FEMA’s liaison officers, local folks on the ground; they talk to mayors and find out where are the best places to put these systems. 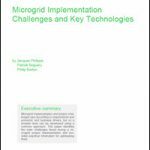 An assessment doesn’t necessarily mean the team is going to install a microgrid system. Instead, an assessment determines if this is still a viable candidate. It’s bounced off the main grid restoration master plan to see when power is due to come up in that location. If it meets all of the team’s criteria, then they move forward. The team is currently performing an analysis to determine if they want to make another request to the mainland to have more microgrid systems shipped here. A lot of that is driven by more folks on the island to do grid restoration, said Anderson. 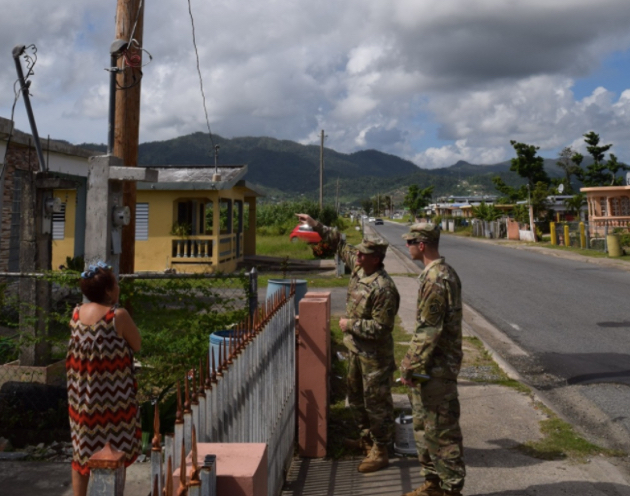 Army Chief Warrant Officer 5 Thomas Black, from U.S. Army Pacific Command, Hawaii, has been here since Dec. 9, 2017, providing subject matter expertise in the planning, installation and management of the microgrid operations on Puerto Rico. The 37-year Army veteran wishes we had started earlier because this temporary power initiative is paying huge dividends. Anderson is set to redeploy home Jan. 7 to reunite with family and resume his district mission. He’ll also resume his weekly fitness regimen, which includes ultra-marathons, Iron Man triathlons and daily cross-training. “Departing is always bittersweet for me,” said Anderson. “You’ve made an investment into this mission, but you’re so excited to go home, to see family, to reconnect, and to get back to life back home. It’s really been a pleasure to be down here, and I don’t look at this as work. I’ve been blessed with the opportunity to turn lights on and help people; especially citizens who haven’t had power for 90, 100 days. That’s something that lasts a lifetime; something you never, ever forget. 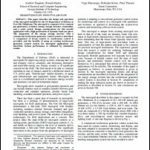 This story was written by Gerald Rogers of the U.S. Army Corps of Engineers, Los Angeles and was reposted as a public domain article. Learn more about how microgrids are restoring power in Puerto Rico at Microgrid 2018.